Belgium steals the chocolate limelight on an international level, with many people forgetting that one of the world’s biggest and best chocolate producing countries is actually Mexico! In fact, the word chocolate is borrowed from the Nahuatl language, as is the tradition of both drinking and eating chocolate based products. With that in mind, here’s our guide to the best chocolate shops in Mexico City. Let’s start off with the chocolatería that has 16 easily accessible and top-notch branches throughout the city; L’Atelier du Chocolat. You can find these artisanal chocolate stores in practically any Palacio de Hierro department store, making it the perfect spot to pick up a quick gift for relatives back home. 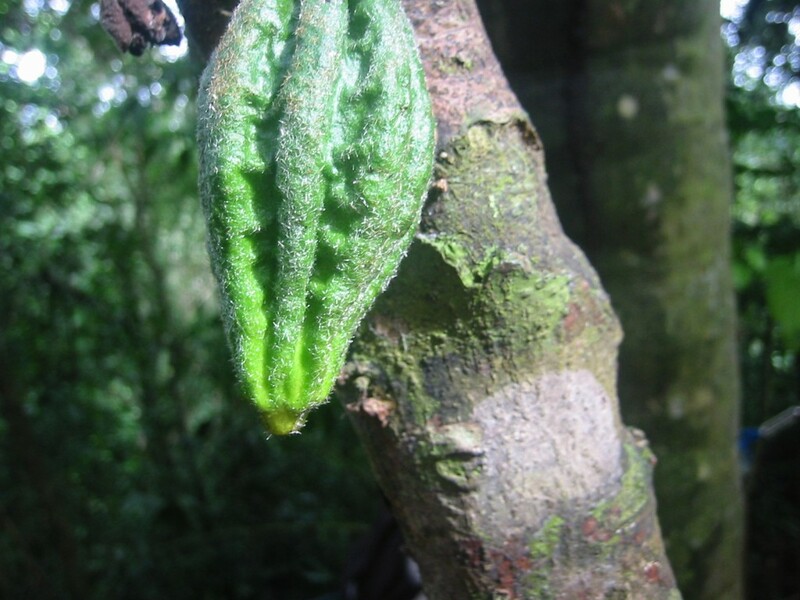 While the chocolate they use is not always Mexican, it is always of the highest quality and includes several suitably exotic ingredients that make it a total chocolate experience. A well-known chocolate shop in the Mexican capital, New Art Xocolatl has been a long-standing fixture on the scene and with good reason. As the name suggests, their chocolate creations are quite literally works of art, yet manage to be utterly delicious at the same time. 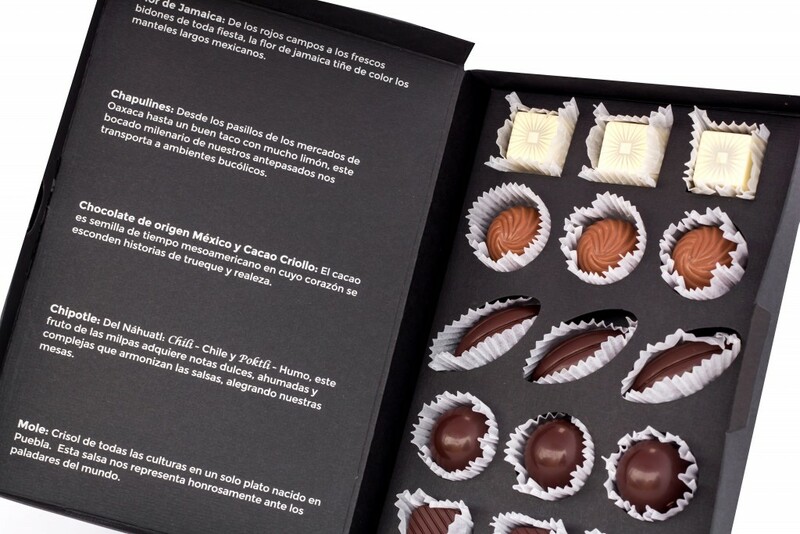 Unlike L’Atelier du Chocolat, New Art Xocolatl works to promote Mexico’s own exquisite chocolate products and chocolate making history through both the production and tasting process. Que Bo! 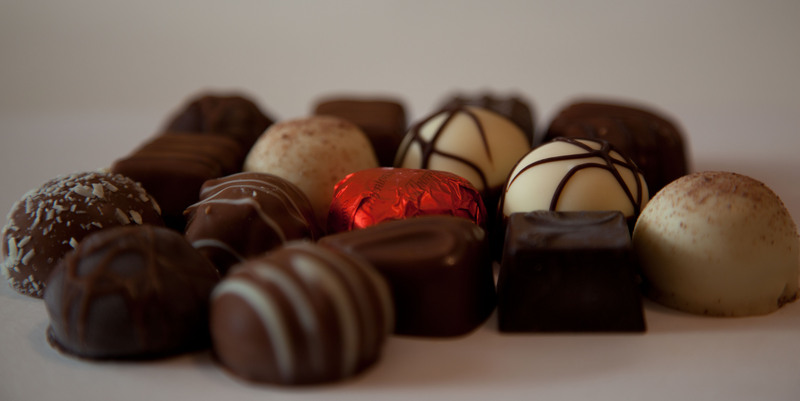 has several branches across the city and is probably one of the most recommended chocolate shops in Mexico. 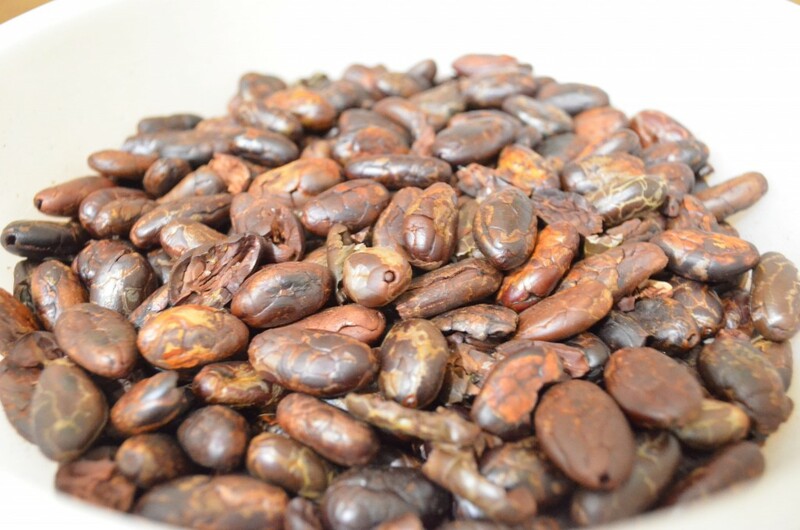 Combining 100% Mexican cacao principally from Tabasco and Chiapas, their divine chocolates are exquisitely produced, totally artisanal, and come in all manner of unusual and delicious flavours; we recommend the café de olla variations. Headed up by head chocolatier José Ramón Castillo, the presentation of the glossy, vibrantly coloured treats at Que Bo! is also second to none. Chocolatier Mau Montiel is the brains behind the successful Dolcenero, with its artistic, surrealistic chocolate creations inspired by Dalí and Miró. While you might not want to eat them at first, you definitely won’t regret eating them afterwards, given the sumptuous (and sometimes odd) flavours and fillings that lie within. Situated conveniently in Condesa, Dolcenero offers a vast selection of chocolates in the form of truffles, eggs and even sculptures. This is easily one of the most creative, unique chocolate shops in Mexico City. Le Caméléon is unique as a result of its exquisite combinations that bring together Belgium and Mexico in petite mouthfuls that pack a punch. Alongside the classic pralines and bars, their popular Mexicanismo range combines chapulines, mole and even hibiscus flowers with their imported Belgian chocolate. This is understandable when you consider that Sophie, the Belgian brains behind the business, favours family recipes that have been perfected over the years. 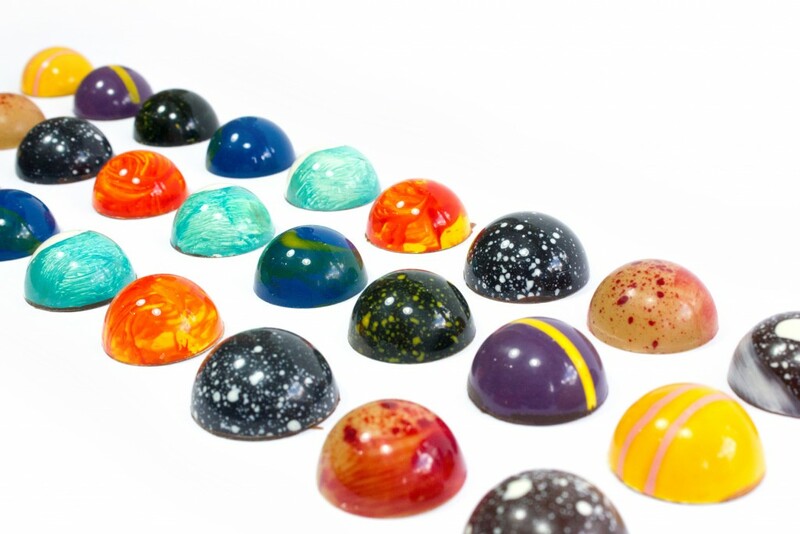 We recommend the glossy Belgian chocolates, filled with house recipe, lightly spicy mole, or their monthly tasting sessions, where you can get your hands on some exclusive, not-for-sale products. A fairly recent entry onto the Mexico City chocolate shop scene is the much hyped Sucr’elle. Unlike most raved about spots, this small Polanco location actually deserves the fanfare. Headed up by a young Mexican couple, Sucr’elle uses an entirely artisanal production process which employs only natural ingredients. As a result, the hand decorated end products are absolutely delicious and come in a wide variety of flavours; we recommend the passionfruit filled truffles accompanied by one of their Mexican blend coffees. 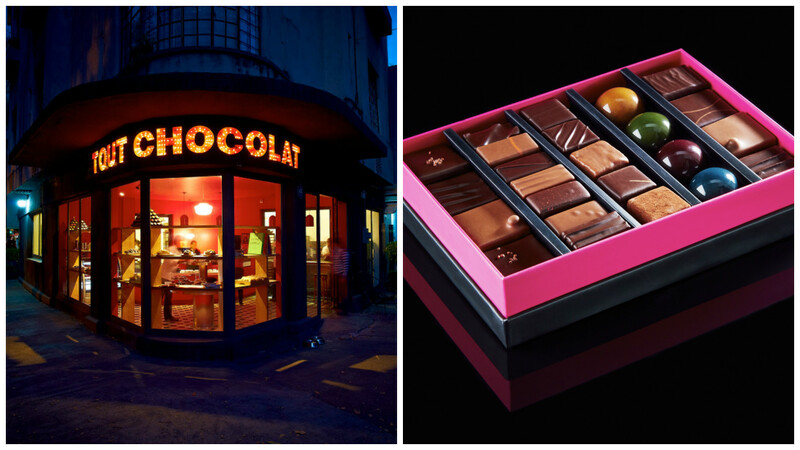 Condesa is the home of several of the city’s great chocolate shops, and another one to add to your must-visit list is Tout Chocolat, with its easily recognisable store-front and row upon row of shelves laden with chocolate products. 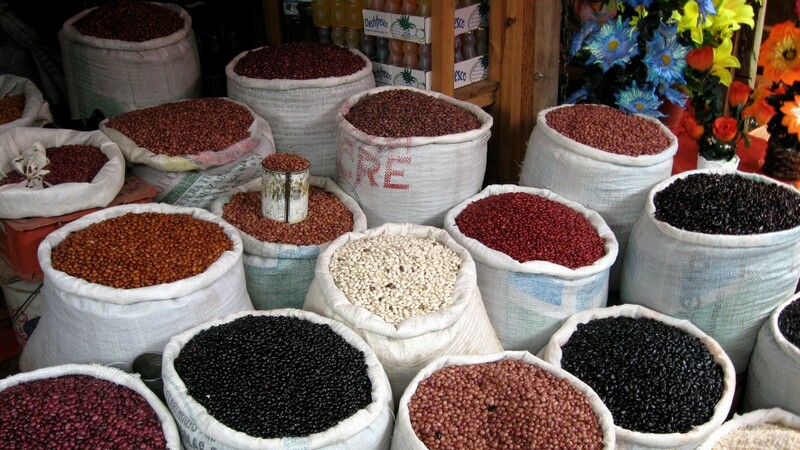 This store, in contrast to many of the other featured, uses Bolivian, Venezuelan, Ecuadorian and Mexican cacao, meaning you can try out the full gamut of flavours, textures and tastes in one handy location. Out of the selection of chocolates on offer, again, the passionfruit filled ones come highly recommended. Have you ever wanted to enjoy chocolate with all five senses at once? Well, as Dicioccolato you can. This Polanco based gourmet chocolate store, headed up by chef Emilio Mejía, offers up a surprisingly multi-sensory chocolate buying and tasting experience. One of Mejía’s greatest passions is Baroque music, and he wants to replicate the sensory experience of listening to that genre in his clients when they eat Dicioccolato’s products. Try out one of the ‘weirder’ creations if you stop by – a balsamic raspberry filled chocolate. If you’re looking to take home a truly Mexican chocolate based gift – and we mean that in a very literal sense – then look no further than the Motivos Prehispánicos chocolate shop which you can find in three locations across the city: the Museo Nacional de Antropología, the chocolate museum and Mexico City’s airport. 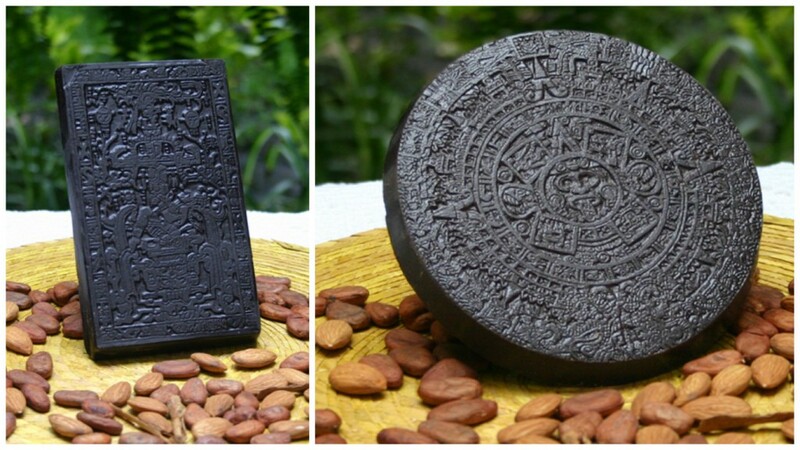 Their most famous ‘bars’, made from 100% Tabascan cacao, take the shape of the Mayan calendar and various other historically accurate indigenous symbols, ruins and gods. 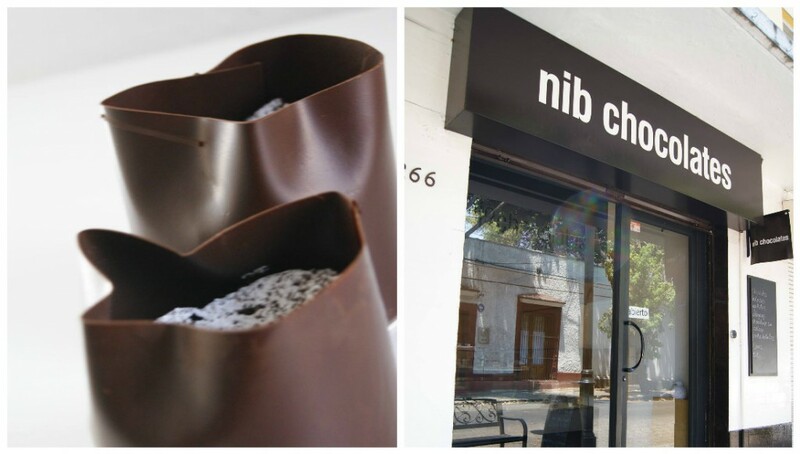 Finally, we round of our guide to Mexico City’s chocolate shops with nib chocolates. As well as the classic chocolates, think truffles and bars, you can also try out a range of other products here – they have desserts, ice creams and cakes, all of which centre around that oh-so-key-ingredient, chocolate. Each of their desserts are delicious and well-crafted, using both traditional and unique flavour combinations in equal measure. There’s definitely something for every chocolate fan at this Coyoacán based chocolatería.